NOTE: This course starts November 15, however, registration is open until November 30. This six week course offers comprehensive study of the Shambhala Sadhana. By way of recorded talks, we look into the meaning and method of sadhana practice, and how this particular sadhana can open our mind and hearts to the reality of our own basic goodness, and the basic goodness of others and society. There will be contemplations, meditation in action exercises, a discussion forum to gather as a community, and two live events. Prerequisite: Attendance at Enlightened Society Assembly or the Lung for this practice. Acharya Noel McLellan is a second-generation Shambhala practitioner, who was raised in the culture that was emerging around Chögyam Trungpa Rinpoche and his students. At 16 Noel attended Warrior’s Assembly, where he first met Sakyong Mipham Rinpoche. After high school he attended the first three-month Seminary led by the Sakyong. He completed a degree in Religious Studies from Colorado University, and after that was asked to become a kusung, attendant to the Sakyong. He traveled with the Sakyong in this capacity for 18 months in North America, Europe and India. Noel later held several other posts in the Dorje Kasung. Noel lives in Halifax, Nova Scotia with his wife Marguerite Drescher and their two ferocious young children, Gabriel and Esmé. 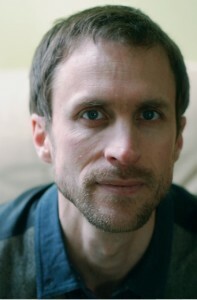 He teaches at the Shambhala School, helping to develop a transformative approach to education. He oversees training for young Shambhala teachers and leaders in social transformation, and is a mentor to the Ziji Collective which is dedicated to exploring the confluence of contemporary society and Shambhala principles. Noel’s writings on education, culture and Shambhala are available at broken leaf. We meet each other, and are guided into this study of the Shambhala Sadhana with a recorded talk. We will learn more about sadhana practice as Acharya Noel Mclellan guides us in Shambhala Meditation. We dive into the first section of the Sadhana and explore what it means to take the Shambhala and Enlightened Society Vows each time we begin our sadhana practice. Through contemplation and meditation in action, we become curious about how this practice can change our minds and hearts, and open our understanding of what it means to be a genuine and awake human being in these challenging times. In this class, we focus on the Sun of Goodness, delving into its qualities, and becoming curious about how this goodness is expressed in our lives, our relationships, and in the phenomenal world. This week we inquire into our personal basic goodness, asking ourselves if we believe in our goodness and how we express that in our lives. Our relationships with others is the focus this week. Are our relationships based on basic goodness? Can we experience and honor other’s basic goodness? Are our communications and interactions inherently basically good? Radiating the intention to create an enlightened society, this class delves into this provocative section of the sadhana, as we ask ourselves how can we create enlightened society. The Shambhala Online Advanced Studies courses are designed to support vajrayana practitioners as they develop their practice and deepen their understanding between major programs. Through rigorous study, relating with peers, and mixing the teachings with daily life, Advanced Studies participants engage in a powerful learning experience. Each course features a senior Shambhala teacher, interaction with an online community, and facilitation by an experienced course leader. Participants view recorded or live teachings, then gather in the online learning environment to discuss, contemplate and engage in exercises aimed at deepening their understanding. Participants work together to reveal their inherent wisdom. Engaging in the course brings the teachings into daily life, supporting the vision of creating enlightened society. The course is asynchronous. You may view the recorded talks at your convenience. Facilitated live session dates and times will be announced. Most participants spend 1 to 3 hours per week on the course. The talks average 45 minutes in length. Allow yourself time to do the readings, practices and other assignments. It’s a good idea to schedule the time on your calendar as you would for a face-to-face class. Patron. The Patron rate of $150 supports our efforts to connect teachers and learners through online programs. In particular, it helps us offer the generosity policy to those in need. Generosity Policy. We want to make the teachings available to all and will work with you to ensure your participation. Click on the Request a Discount link below, just above the Register Now link, to receive a coupon code to use at checkout. For a further discount or scholarship, write to [email protected]. Centers and Groups: Click here to find registration and other information on running this course. Click here for our Refund Policy.